I'm sharing another FREE Valentine's Day printable today! 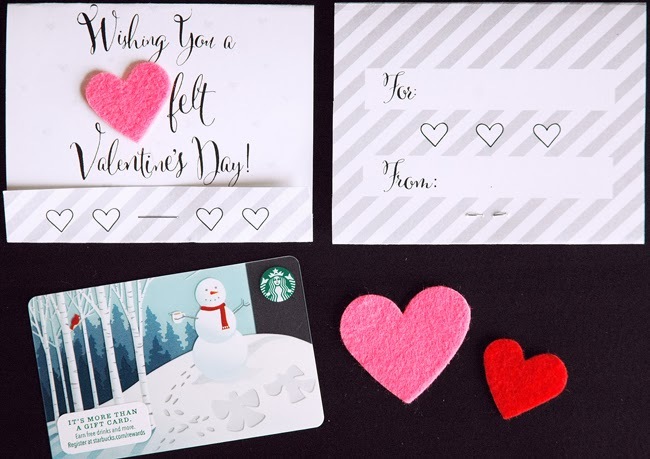 This time, instead of something for a classroom valentine exchange, I've got something to spoil the teacher or someone else you love! I love how this gift card envelope has more dimension with the addition of the felt heart. I LOVE giving sweet treats to teachers…baked goods, candy, etc. You KNOW that's my thing. I think gift cards are the best - even if it's only $5 bucks! I know some people think gift cards are impersonal but I think creating a DIY gift card envelope like this one helps bridge that gap…don't you? You can get the fun download RIGHT HERE! There is lots of other eye candy to get lost in over at Skip to My Lou so plan to visit awhile over there! Honestly…I think a cute cupcake WITH this gift card envelope using a gift card to my favorite cupcake shop will probably be what I end up doing for Ella's teacher. I can't help myself! *wink* This cupcake box might be just what I need to package it all together!